Being direct, challenging others, saying what you think is only part of the equation. How you do this is another aspect. I want to focus on the specific area of candour in leadership teams. My view is candor amongst leaders is the litmus test in discerning transparency, openness and collaboration in an organisation's culture. against cultural conserves, other's views, and includes bringing forward 'the elephant in the room'. There are two parts to candor. One is speaking candidly and the second is the consequences of speaking candidly. Speaking candidly is the opposite of being direct, analysing, 'blurting something out', wanting things to be different or trying to change someone else's behaviour. Candour is letting others know your thoughts, tentative ideas and your experience. Frequently I meet senior leaders who criticise the culture in their leadership teams and organisations. "Our leadership team culture is poisonous", says one. "What is happening?" I ask. "The IT (read sales, finance, ops or corporate services) manager is driving in a direction none of us other GMs want", says another. How come none of you speak up I wonder to myself. "I think the CEO approves of what is happening, although he isn't saying so", says a third. Hearing this, I have at least two thoughts. The idealist in me wonders who this GM thinks is responsible for creating culture if it is not the leaders themselves. But the realist consultant in me, noticing when people do not speak up, begins an investigation by asking myself questions. Is the capacity to speak up and stay in relationship with others underdeveloped in the individual or in the group as a whole, or are the consequences of speaking up too risky in this organisation? If I conclude that candour or assertiveness is lacking, I might embark on a coaching path with that individual. If I conclude that the person is well able to speak up in other contexts save this one, I might make a start on discussing the risks of so doing within this leadership team meeting. This enquiry is in itself is a perilous journey for any consultant, since the consultant cannot take away these risks and make people's working lives safe from power and its abuses. Do you want to have greater ease, confidence and effectiveness, when working with Ministers, CE's and senior leaders? 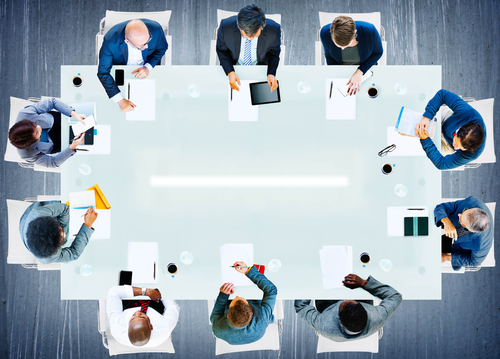 Enrol in Executive Presence for Principal Advisors. This programme provides you with the opportunity to discover your impact on others, and develop the presence and impact now relevant to your role. The programme dates are designed to coincide with the parliamentary recess. Here's a chance to contribute to supporting Wellington social services groups for homeless people in our city. You can directly assist people who are disadvantaged in our community, and Fourteen Hours Homeless is an opportunity for you to be involved. Experience something of what is might be like to be homeless - from 8pm on Friday night 9th October to 6am Saturday morning, you and two team mates, can register, find sponsors and raise money for your preferred Wellington social service agency. Agencies including the Wellington Homeless Women's Trust; Wellington Youth Services, the Soup Kitchen, Wellington Night Shelter and Downtown City Mission collaborate to provide essential services to Wellington's homeless. The group closest to my heart is the Wellington Homeless Women's Trust. 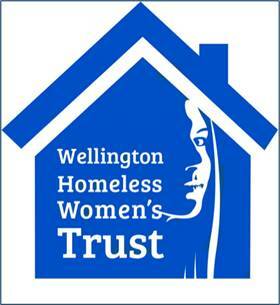 The Trust provides 3 months accommodation and life-giving social services to homeless women in Wellington who want to turn their lives around. I chair the Trust, and we welcome your support for the continuation of our services.